Trueman Rock is a daring young cowboy and rider. Six years ago he had to leave the cowtown of Wagontongue because of a history of gunfights and run-ins with bad hombres. Since then, he’s become a man who only uses his gun when he needs to, on rustlers and crooks. Now, he’s returning to his hometown. But things have changed. The town and its people aren’t what they used to be. He expects to find some of his enemies there to welcome him, but instead finds they’re all dead. In their place is the Preston family. The Prestons have just about taken over the town of Sunset Pass and reign supreme. But Trueman discovers that there’s a brooding mystery surrounding the Preston clan, centered on Ash, the eldest son. Ash is a cold, vicious, and slippery man. Unfortunately for Trueman, he finds himself falling in love with Thiry Preston, Ash’s sister. Ash holds a jealous love for her and she’ll do just about anything he says, and he’s ruined more than one love-struck cowboy before Trueman came along. Trueman Rock's quest to win over the girl he’s fallen for brings him face-to-face with the sinister true face of the Preston clan and their control of Wagontongue, and he must confront them to be with Thiry and save the town he loves. 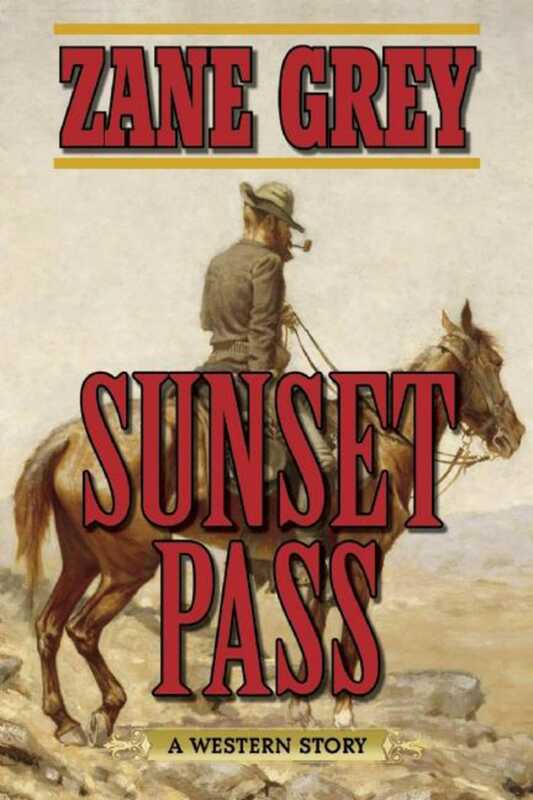 Sunset Pass, first published in 1931, is another dramatic tale of the West by Zane Grey.